Donald Trump has said the United States intends to stand by Saudi Arabia – including the country’s powerful Crown Prince Mohammed bin Salman – despite the “unacceptable and horrible crime” committed against Saudi journalist Jamal Khashoggi. The US president said both bin Salman, also known as MBS, and his father, King Salman, “deny any knowledge of the planning or execution of the murder” of Khashoggi. However, all the facts in the case may never come out, Trump said in a statement put out by the White House Tuesday afternoon that is laced with exclamation points and a wide range of incendiary comments. “Our intelligence agencies continue to assess all information, but it could very well be that the Crown Prince had knowledge of this tragic event – maybe he did and maybe he didn’t!” Trump said in the written statement. “That being said, we may never know all of the facts surrounding the murder of Mr. Jamal Khashoggi. 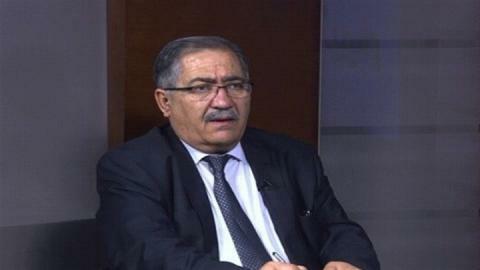 In any case, our relationship is with the Kingdom of Saudi Arabia,” he said. Saudi leaders have been under ongoing international pressure to investigate Khashoggi’s killing and hold top Saudi officials responsible for the murder. A critic of Saudi government policies and prominent columnist at the Washington Post, Khashoggi was murdered inside the Saudi consulate in Istanbul on 2 October after he went inside the building to retrieve paperwork. Khashoggi’s Washington Post editor, Karen Attiah, strongly condemned Trump’s statement on Tuesday. “Trump’s statement on Saudi Arabia + #Khashoggi is full of lies and a blatant disregard for his own intelligence agencies,” she wrote on Twitter. On Friday, the CIA said it had concluded that MBS ordered Khashoggi’s murder, several US news outlets reported. However, Trump has sought to shield his Saudi allies from accountability, casting doubt over the US intelligence agency’s findings despite pressure from US members of Congress to re-evaluate the US-Saudi relationship. It was widely expected that the Trump administration would reveal on Tuesday what the US has discovered in relation to the crime. It could very well be that the Crown Prince had knowledge of this tragic event – maybe he did and maybe he didn’t! The US president revealed that Saudi officials said Khashoggi was “‘an enemy of the state’ and a member of the Muslim Brotherhood,” but he said the decision to stand by Riyadh was not motivated by those comments. Khashoggi’s family has previously dismissed allegations he was affiliated with the Muslim Brotherhood as baseless and false. “The crime against Jamal Khashoggi was a terrible one, and one that our country does not condone,” Trump said in his statement, which highlighted a recent US Treasury decision to sanction 17 Saudi citizens for their alleged involvement in the journalist’s murder and the disposal of his body. Several top aides to the crown prince were among those targeted by the US sanctions, including MBS’s senior adviser, Saud al-Qahtani, and another aide, Maher Mutreb, who was a member of the 15-person Saudi team that was sent to Turkey to kill Khashoggi. As MEE previously reported, Khashoggi is believed to have been murdered within minutes of entering the Saudi consulate in early October. Turkish officials, most of whom have spoken on condition of anonymity, have also said they believe his body was dismembered inside the building and dissolved in acid. On Tuesday, Trump said the US decision to stand by Saudi Arabia despite the murder is in line with his “America First” foreign affairs strategy. In his statement, which began with the phrase “The world is a very dangerous place!” – Trump said Saudi Arabia has committed to investing $450bn in the country, including $110bn worth of military equipment sales, to be purchased from US companies. “If we foolishly cancel these contracts, Russia and China would be the enormous beneficiaries – and very happy to acquire all of this newfound business. It would be a wonderful gift to them directly from the United States!” he said. Riyadh has also been an important US ally in the “fight against Iran,” Trump said, and has spent billions of dollars in the fight against “Radical Islamic Terrorism”. US Secretary of State Mike Pompeo defended Trump’s comments on Tuesday, telling reporters that the country has an obligation to adopt policies that further US national security interests. Trump also appeared to dismiss efforts by US politicians to re-evaluate Washington’s close ties to Riyadh. 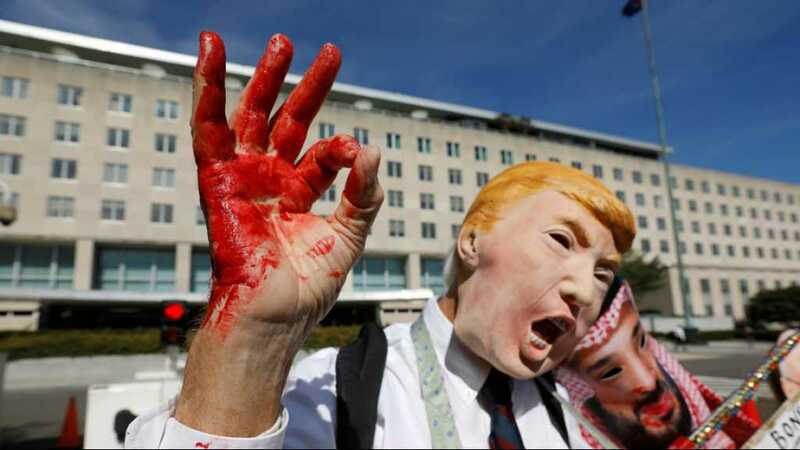 Since the murder, several other members of Congress have also pushed the Trump administration to sanction the Saudi government over what happened, as well as the Gulf kingdom’s role in the devastating war in Yemen. On Saturday, Bob Corker, the chairman of the US Senate Committee on Foreign Relations, said “everything points” to MBS as having ordered Khashoggi’s killing. Still, referring to what he called “the different direction” some US lawmakers have urged him to take vis-a-vis Saudi Arabia, Trump said he would “consider whatever ideas are presented … but only if they are consistent with the absolute security and safety of America”. نحن نحميكم.. وأنتم لا تدفعون لنا كفاية.. لولانا لما كنتم موجودين، فادفعوا والا… ثم اننا نعرف كل التفاصيل عن خاشقجي الذي كان يقيم لدينا وتنشر مقالاته في كبريات صحفنا… ثم، أيها الملك، ماذا لديكم غير المال، ونحن نحتاجه لدفع مرتبات العمال والموظفين المنتجين. هيا ادفعوا او تحملوا النتائج..
أما أردوغان تركيا فقد جاءته الفرصة الذهبية من حيث لا يحتسب: انه الآن سيد اللعبة، يأخذ من السعودية، ويأخذ من ادارة ترامب..
والمزاد مفتوح، ولسوف يحقق “بضربة واحدة” ما ينعش الاقتصاد التركي الذي يتراجع حتى لو احتاجت عملته إلى جراحات تجميلية عديدة لكي لا تنهار، كما في ماضيها القريب..
الصحفي الصهيوني”كوهين” يسخر من النظام السعودي : عرفتم لماذا الله ينصرنا عليكم.. US Blind Eye: Khashoggi’s Death ‘Unacceptable’…Trump Needs Saudi Money, Alliance to Face Iran! Again it’s the American administrations’ double standards that govern the international scene. Calling Saudi Arabia a crucial ally against Iran that purchases billions of dollars-worth of US weapons, Donald Trump lamented Saudi journalist Jamal Khashoggi’s “unacceptable” death but praised Riyadh for making the first arrests in the ongoing probe. “It is a good first step. It is a big step,” Trump said, admitting, though, that “some questions” do remain and that he will be dealing with Congress on how to proceed to address the issue. “Saudi Arabia has been a great ally but what happened in unacceptable,” Trump emphasized. Trump said he was going to call Crown Prince Mohammed bin Salman for more details and that Riyadh already promised him a “full report” into what happened to Khashoggi, a journalist who wrote for the Washington Post, after he entered the Saudi consulate in Istanbul on October 2. According to numerous reports citing Turkish officials familiar with the probe, the journalist was ambushed by Saudi agents, cruelly tortured and murdered. When faced with a threat of potential retributions by the US and other world powers amid the widening outrage over its alleged complicity in Khashoggi’s death, Riyadh finally admitted that the journalist lost his life a “fist-fight” inside the embassy. Amid the ongoing investigation, Saudi authorities also announced the detention of 18 suspects in the case. Furthermore, King Salman fired top spy officials and issued orders to overhaul the General Intelligence Agency, a task he assigned to Crown Prince Mohammed bin Salman. Filed under: American Empire, MBS, Saudia, Trump, US Foreign Policy, USA | Tagged: MBS-Khashoggi |	Comments Off on US Blind Eye: Khashoggi’s Death ‘Unacceptable’…Trump Needs Saudi Money, Alliance to Face Iran! All politicians lie – affirmed every time Trump tries justifying unjustifiable US policies. Interviewed by Fox Business on Tuesday, he disputed what’s increasingly indisputable. Saudi crown prince Mohammad bin Salman (MBS) clearly was behind Jamal Khashoggi’s elimination. “Saudi Arabia’s our partner, our ally against Iran. They’ve been a great ally to me,” leaving unmentioned his longstanding business ties to the kingdom, including distress sales to royal family members when needing cash to meet debt obligations. In 2015 as a presidential candidate, he created and registered eight companies to do business in Saudi Arabia. As president, Trump chose the kingdom for his first foreign trip, sealing a $110 billion arms deal, along with a memorandum of intent to supply its regime with weapons worth around $350 billion over the next decade. “We need Saudi Arabia in terms of our fight against all of the terrorism, everything that’s happening in Iran and other places,” he roared. The US, NATO, Turkey, and Israel are the world’s leading state sponsors of terrorism – in the Middle East and elsewhere, supporting ISIS, al-Qaeda, its al-Nusra offshoot, and likeminded jihadists. The kingdom is the Arab world’s most ruthless dictatorship. Its horrendous human rights abuses need no elaboration. MBS is despotic like his father and earlier Saudi rulers. His feud with Qatar is all about wanting the country reduced to satellite status, along with gaining control over its resources and cash reserves. Its founders “were desert raiders and looters. They were desert pirates,” committing unspeakable crimes. Eliminating Khashoggi was minor compared to its regional state terrorism and homeland repression. The state has been a close US ally since the 1930s. The worst of its high crimes won’t change a thing in the bilateral relationship. Former regime insider turned critic Khashoggi paid with his life for foolishly entering its Istanbul consulate. MBS proved he’s an inept leader by eliminating him and lying about it, causing a global furor even though temporary. Relations with the West remain strong. Trump Tuesday criticized people blaming Saudi Arabia for the disappearance of the US-based journalist and accused them of prejudging the case. He likened the global outcry against the Saudi government to the controversy surrounding Supreme Court Justice Brett Kavanaugh. Khashoggi disappeared on October 2 after visiting the Saudi consulate in Istanbul. Turkish authorities believe he was tortured and killed inside the building by a team of Saudi operatives who removed his dismembered body. Earlier in the day, Trump wrote in tweets that he had spoken to the Saudi crown prince on the phone and that bin Salman had “denied any knowledge” of the fate of the missing Washington Post columnist. 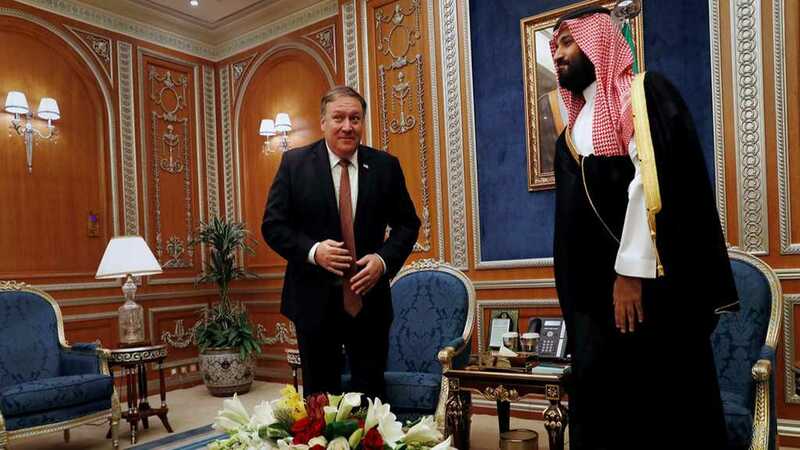 The tweets came as US Secretary of State Mike Pompeo was meeting with Saudi Arabia’s King Salman, Crown Prince Mohammed bin Salman and senior Saudi officials in Riyadh. In this respect, the US State Department said Pompeo called for a “thorough, transparent and timely” investigation during the discussions. The comments mark the second time in two days Trump has vouched for Saudi Arabia’s denials of knowledge about the fate of Khashoggi. Speaking to reporters following a phone call with King Salman on Monday, Trump suggested that “rogue killers” may be responsible for whatever happened to Khashoggi. But in an interview aired late on Tuesday on Fox Business channel, Trump said it would not bode well Saudi leadership if it is found they were involved in Khashoggi’s case.